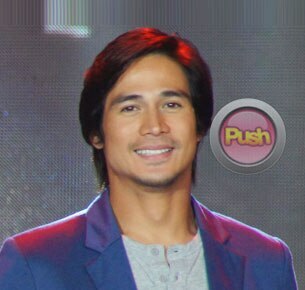 Piolo Pascual hopes 'On The Job' will get positive feedback from Pinoy moviegoers. Piolo Pascual is keeping his fingers crossed that his first crime-thriller film, On The Job [OTJ], will receive the same warm reception it got from the international audience for its upcoming local release. Two months ago, Piolo together with his OTJ co-stars Gerald Anderson and Rayver Cruz and the film’s director Erik Matti flew to France to showcase the film at the Quinzaine des Réalisateurs or the Directors' Fortnight, a section at Cannes Film Festival held independently by the French Directors Guild. “Ayun that was a very heartwarming experience because everyone didn’t leave the theater [even after the film was over]. After the credits they all did a standing ovation which really validated the film,” Pascual recounted during the recently concluded blogger’s conference for OTJ at the 13th Floor of the ELJ Tower. On a serious note, he explained that what got him interested in the role was the fact that it was far from the ones he has portrayed in his past films and soaps. “Interesting role and iba kasi yung gagawa ka ng offbeat para naman may iba. You want to offer the audience something new, something different, that’s what attracted me to the role. Actually all the four roles were intense so for me, yun lang yung pinakamalapit sa akin kaya tama naman si Direk na yung napili ko was just right for me. Mahirap na ipilit mo yung hindi babagay sa ‘yo,” the 36-year-old star enthused about their highly-acclaimed film. Did he ever consider Anderson’s role as a hitman instead? “Okay yung kay Gerald na role eh, kaso importante kung sino yung kasama ko, kung sino yung magiging Francis so if it was going to be Gerald, I would have to settle for Francis. If it was going to be another actor then we’ll have to consider the age gap,” he explained. Although Matti previously explained that the film was not the usual type of action film that Pinoys are used to watching with car chases and fist fights every five seconds, it was nevertheless big on intense scenes. As a first-timer how did he manage to detach himself from such intense scenes? Not the type to let his projects take over his life, Pascual said he makes it a point to “leave” his character on the set soon as he packs up. But, a certain scene from OTJ he said easily became an exception. According to him, he personally looked forward to shooting the said scene because it was unlike anything he has done before. “Yun ang kinarir ko. Yun ang inuwi ko kasi marami akong dugo. Panalo yun, masaya yun,” he quipped. Intense scenes and all, Pascual summed up that he enjoyed the entire OTJ experience, which he even happily noted allowed him to workout during the long chasing scenes and if given the chance he would gladly take on another action film. On The Job will be released in cinemas nationwide on August 28.